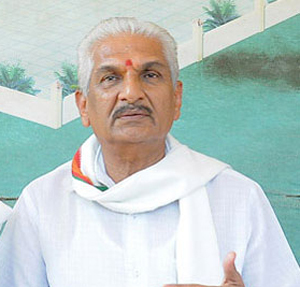 Mangaluru, Mar 23, 2019: Nearly a year after the city police booked two cases against Rashtriya Swayamsevak Sangh leader Kalladka Prabhakar Bhat for alleged provocative speeches, they have got sanction from the State government to prosecute him in one case. On April 6, 2018, the Konaje police registered a case against Dr. Bhat for allegedly making a speech inciting communal sentiments during a hunger strike against the theft of a cow from Amruthadhara Go Shala run by Sri Ramachandrapura Mutt. The hunger strike was by Rajaram Bhat, the caretaker of the go shala. Another case was registered against Dr. Bhat on April 15, 2018 by the Bajpe police for his alleged provocative speech at Kajepadavu. The two cases were booked during the campaign for the Assembly elections. A senior police officer said the police had sought mandatory prosecution sanction in the two cases. A few days ago, the police received the sanction in the case registered by the Konaje police and a chargesheet was filed. “We are hopeful of getting sanction in the other case shortly,” the officer said. As many as 32 cases were registered by the city police during the Assembly elections. Of them, 22 are pending trial. A case of alleged distribution of 100 shawls registered by the Mangaluru South police ended in conviction. The two cases against Dr. Bhat are among the few that the police were awaiting prosecution sanction.